Saturday morning, 0600hrs. The alarm rings, but unlike an office day I’m already wide awake. I’m off to the Lake District for a weekend of running in the hills and camping under the stars. By 0930hrs I am at Wast Water in the Lake District in my running gear and meet my friends. I start of with just a tshirt, knowing that we’ll be immediately heading straight up the nearest hill, Seatallan. I rapidly heat up as we charge up the hill, no chance to even warm up on flat ground. Much later, we’re on the top and in the direction of Scoat Fell and Red Pike. On the tops there’s little protection against the driving wind and we find pockets of snow still hiding from last winter. With my extra layer on, my face remains painfully cold, toes numb in trainers soaked through. Knowing it’ll soon pass, we continuing running into the wind knowing that once we lose some height we’ll be sheltered. Into the afternoon, we continue, from one peak to the next. The rain comes and goes. The waterproof jacket goes on and off. Lunch was a sandwich I bought at a service station – trust me service station food has never tasted as good as after a few hours in driving wind in the cold. We scramble up scree and rockfall and down the far sides of hills. My legs are screaming as we go up yet another hill, but I tune them out. Just keep going and you’ll get to the next summit, then your legs can relax. That’s a lie I told myself – the descents can be technical and jarring as you bound downhill, trying not to twist your ankles in hidden bumps in the spongy grass or on a loose rock. 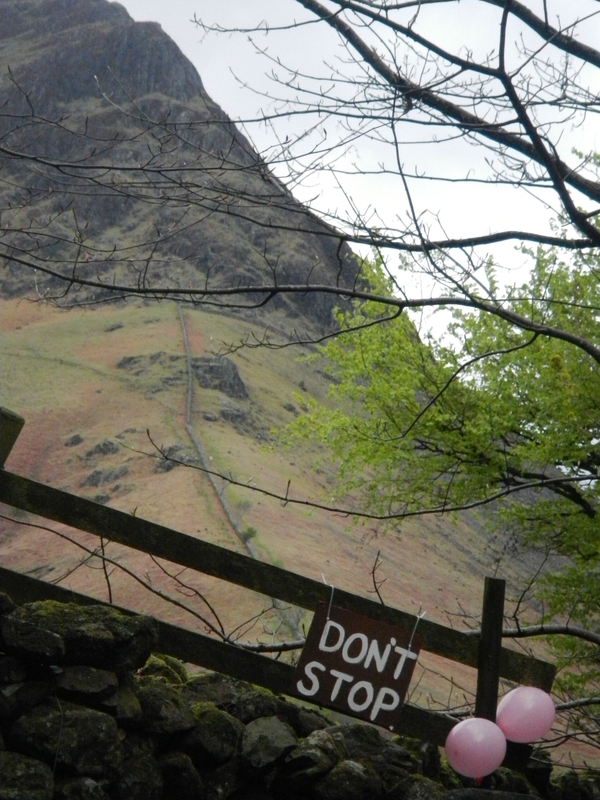 Hours after we set off, we finally make our final descent back down to Wasdale Head. A long straight descent in fair weather. Just another mile to flat ground, then just one more to the cars. So quickly the pain from the last few hours’ exertions fade into the background, overcome with a sense of accomplishment at the run we’ve just done.